A reliance on technology has been a double-edged sword in many ways. While many innovations have helped make life easier and more efficient; social media, video games and texting have led to the phenomenon of too much screen time and that has impacted people’s lives in other ways. On the plus side is the usefulness of databases and the capabilities that such stores of information can provide. Relational databases can connect the dots and pull even more relevant information into the mix to help make the data more meaningful. Add the ability to store all of this information in the cloud, and access it when needed, and the genius of the modern-day CMMS becomes clear. Managing a large and diverse asset inventory is no easy task. Keeping records of those assets, scheduling maintenance, along with keeping a historical record of work performed on any given device, requires tedious and astute documentation. Staying in compliance is yet another focus. As with all technologies, the potential of CMMS is ever-evolving, taking full advantage of other technologies and greater capabilities. Off-site storage of data is just one advance. Integrating mobile devices brings a new level of convenience to these systems. With all the capabilities of current CMMS software platforms, is there anything that can be improved or added? What do HTM professionals want to see added or updated? From CMMS providers, what are the latest features and offers? For HTM professionals, what meets muster and what would be a good addition to make the perfect system? Like anything that is used regularly, whether it be a car, computer software or a bank, the user soon forms an opinion about what works, where there may be a deficiency and how the user would change the product or service. It explains the product lifecycle of anything that is used regularly; introduction, feedback, refinement and improvement. Software and cellphones so often have versions or ever-advancing models for this reason. So, it goes with CMMS. 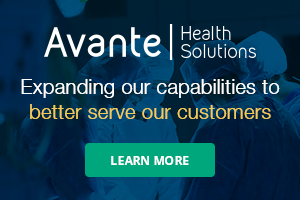 “An organization’s CMMS is one of the most important tools an organization has and it touches almost all aspects of the HTM field,” says Benjamin Lewis, regional director of clinical engineering for Georgia/Florida for Novant Health. “Regulatory data, materials, labor, assets, service actions and more will all be stored in your CMMS. Sounds great right? All of these were available in my DOS-based CMMS system that I used at my duty station as a biomed 20 years ago, when we were still in the 20th century,” Lewis says. “There has been a vast improvement in the CMMS since then and competition has increased innovation in the field. 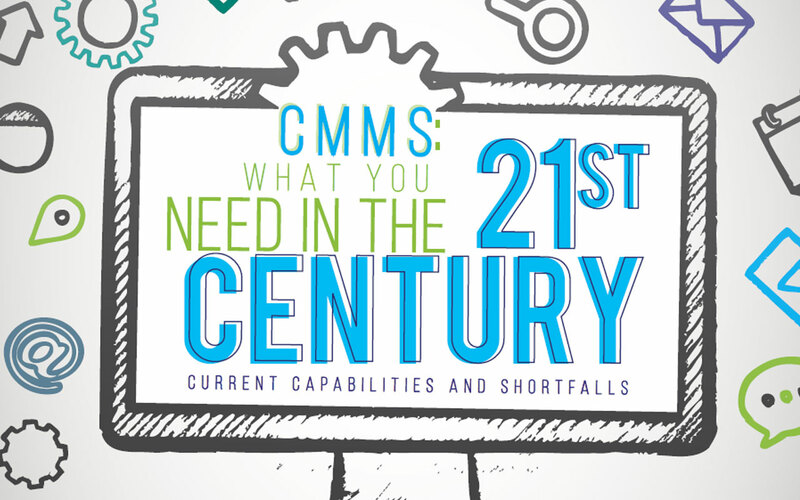 Today, a CMMS must do more and we as HTM professionals should use these resources to bring value to our organizations. My expectations for a CMMS is to remain cutting edge by meeting our always changing needs,” Lewis adds. The CMMS wish list from the HTM community comes out of personal experience and a recognition of the strengths and shortcomings of different systems. “For me, the ideal CMMS system would be one that has good tools for data analysis. It should have good reports, but should also have tools built in for data mining. It should be able to be flexible, but at the same time rigid in its input structure,” says Jim Fedele, CBET, senior program director, clinical engineering, BioTronics, UPMC Susquehanna.“Some of the systems I used in the past were too flexible and this made data analysis very difficult as people call the same piece of equipment many different things. However, it also needs to be able to easily accommodate the addition of new items or ‘gray area’ entries,” Fedele says. The capabilities of a system should allow HTM to make competent decisions. “The system must have robust data analytics to enable rapid and comprehensive decision making – safety and security, financial and operational. Comprehensive cybersecurity management. Portability and ease-of-use are key,” says Michael W Lane, MBA, CMQOE, CHTM, director of instrumentation and technical services at the University of Vermont. Systems should have the ability for real integration also. “Better tools for medical device cybersecurity – this starts with just adding all of the necessary fields that we need to add network settings, security configurations, machine addresses, software and hardware revision, configuration data, whether devices have ePHI or not and how that is encrypted,” says Perry Kirwan, vice president of technology management for Banner Health in Phoenix. “Integration into IT service management systems e.g. Service Now, so that work orders can be cleanly handed off between disparate service entities – this is for hybrid medical devices that are part diagnostic/therapeutic system and part IT system. Once things get connected into the IT environment, the service responsibilities change and HTM does some of the work, while the other parts of the work may be IT,” Kirwan says. “Working in disparate dispatch and work order systems creates opportunities for error – missed calls, incomplete service response or verification, disparate documentation,” he adds. He also suggests better/more flexible reporting tools. “Most CMMS providers provide canned reports which are useful. The problem is that once you want to deviate from the canned reports, the report writer either doesn’t exist or are more complicated to use than they should be,” he says. Additionally, Kirwan says that better business intelligence/analytics tools would help along with better tools to support dispatch and call center management and better integration into ERP systems for central accounting, parts ordering, invoice payment; not just interfaces. Lewis agrees with the cybersecurity features, as well as the importance of good data to build an AEM program. “New pressure around the AEM has many people scrambling, building probability reports to create an organizational justification for their AEM program. Today’s CMMS should have risk and probability baked in to the software and should easily show you what can be on AEM based on your service data,” Lewis says. “Extensive cyber data points should be a prerequisite when choosing a CMMS. There are systems out today that are lacking in the number of data points you can track. MAC address, IP address, AE title, software version and OS should all be available and easily reportable fields,” he says. “Most systems are there now, but some rolled out slower than others. In addition to data points, analysis on those points are a plus. There are systems out there that can tell you the last place your networked device touched your network,” Lewis adds. “The ability to do predictive search on part or accessory orders. [For] example, if I get a work order for a thermometer, the system would know, based on the history of like devices, that probes are a common part I would be ordering and it would ask me if I wanted to order the part,” Fedele says. Fedele suggestions borrowing from technology already used in search engines. “You know how Google remembers your search history and then puts related ads on the websites you visit, we should be able to do that with common parts and common processes. User-defined defaults to streamline process would also be good. Integration to test equipment would be good but I am not sure it is a must have,” he says. He also suggests following the lead of an online retailer. “The database should be cloud-based, it should also sync to the service manual library. Also, when doing a PM, the procedure checklist should be able to be viewed in the CMMS and steps checked off and commented on. Common functions should be able to be automated to reduce the amount of clicks needed to get work done,” Fedele says. “I think we really need to throw out what we know about CMMS systems and look at how Amazon and Google manage data and the searching/shopping experience and copy that,” he adds. Lewis is another member of leadership who sees the need for integration. “Your CMMS should be able to integrate with other industry standard programs, like ECRI, to help with recall alert information. How great would it be for your CMMS to not only recognize ECRI alerts by the active models in your system, but also automatically by the serial numbers identified in the alert when run against your inventory?” he asks. He also points out that a comprehensive billing module is a must today. “There are many successful programs that are no longer just a cost center to their organization. Having the flexibility to bill external customers or just run a great in-house program is important,” Lewis says. “Customization is a must for a CMMS to be successful. The days of needing a feature and waiting two years for a relatively simple change until the industry catches up with your organization’s needs are over. A CMMS that is not able to be nimble to their customer’s requirements is one that is going the way of the dinosaur,” Lewis says. “Finally, a friendly user interface is a 21st century must. I grew up on a Commodore 64 with 5.5- inch floppy disks on a DOS operating system. I am a mid-career HTM professional. The newest biomeds starting their career grew up on the Apple iPhone. Although I own an Android, Apple set the standard for a friendly user interface. Like an iPhone, a CMMS should be intuitive for a technician to navigate. A friendly user interface will increase the integrity of the data, and good data is the reason we have a CMMS in the first place,” Lewis adds. Kirwan explains why integration with ERP systems for central accounting, parts ordering, invoice payment is important. “This is referring to some work that we just did at Banner. We became so frustrated with our CMMS provider to do inventory management/control and parts/service ordering with complete reconciliation to the ERP – that we decided just to not use the CMMS anymore for those functions,” he says. “The only way that we were going to get the integration that we needed was to do the inventory management and parts ordering through the ERP and then backfeed the information as needed into the CMMS. Most facilities are doing their operational budget accounting through their ERP and if the CMMS and ERP don’t talk and dynamically interact with each other – you have little hope of your numbers between the CMMS and the ERP ever matching,” Kirwan says. “I could tell you horror stories on something as simple as accurately tracking where we were on any given month with just accruals where the proper integration of CMMS and ERP can make or break your month. This only gets amplified when you start putting for-profit implications into the mix,” he adds. There are many providers of CMMS systems. Most have branded names for their systems. The provider’s insights provide a glimpse into the thinking behind system design and the direction in the innovations are coming. What direction have recent design changes and additions taken? “The CMMS has evolved more rapidly in the last few years than before. A CMMS is not just a repository system used to document work orders for the HTM department anymore and is no longer separate from other systems. Hospitals can no longer survive with this kind of isolated environment in place,” says EQ2 LLC Chief Technology Officer Vishal Malhotra. “In this day and age, with the advancement of technology causing more devices to become smart (interconnected), and with the evolution of Integrating the Healthcare Enterprise-Patient Care Devices (IHE-PCD) profiles, CMMS can no longer stay isolated,” Malhotra says. “CMMS can now provide most critical information like utilization, software version, OS version, MAC Address, IP Address, etc. directly from medical devices. Devices can also send error codes directly to the CMMS which can then auto-generate repair work orders and assign to the right technician/engineer. This opens the door for more efficient maintenance of devices and also more effective overall life cycle management of medical devices, which was not possible before,” he adds. Malhotra also says that a modern CMMS has the built-in intelligence to guide HTM with regulatory compliance requirements and capital budget planning tools. “Along with this, most CMMS are now accessible on smart devices like cellphones and tablets, evolving from the old PDA platform. And most CMMS vendors are now offering SaaS-based solutions along with an in-house solution,” he says. Looking into the future, what are potential innovations that can be expected? “Innovations in both CMMS and medical devices will mean that the CMMS will utilize the power of information in new ways. Increased interconnectivity of devices producing more information will combine with greater capability of the CMMS to use that information,” says EQ2 LLC, Product Manager Rich Sable. “The CMMS will ‘learn’ from this information using artificial intelligence. Information from automated testers will be used by the CMMS to guide predictive maintenance. And information from MDS2 (Medical Device Security), Zingbox, and other systems and processes will empower the CMMS to help provide a more secure infrastructure,” Sable says. “CMMS users require more interfaces and seamless integration with third-party applications. Dashboards, personalized user interfaces and availability of analytics covering multiple points of view,” says Ben Mannisto, president and CEO of Phoenix Data Systems. “Future systems must allow for protection against cybersecurity attacks, specifically as related to patient devices. Vendors must support OS updates and allow customer accessibility in order to keep up to date to protect against these threats,” Mannisto adds. “As with any systems development life cycle, customer feedback plays a critical role in achieving a platform that provides a great customer experience. The usability of the interface can be greatly enhanced with feedback from HTM professionals,” Malhotra says. He recalls one good example some years back when customers started asking whether there was a way for EQ2’s HEMS to get error codes from devices and generate a work order. “We made sure to understand the specifics of what they needed and how it would be used, and then we worked with Integrating the Healthcare Enterprise-Patient Care Devices (IHE-PCD) team to develop the functionality to accomplish the request,” he adds. “CMMS software must be user-driven with respect to changes and updates. Recent needs have included the use of the GPS feature on mobile devices,” Mannisto says. “Using this feature, work can be assigned to the technician closest to the location, saving valuable time. Another innovation provides the opportunity for management to be immediately notified of an adverse or unique circumstance, such as when one of the hospital’s two CT machines is down,” he adds. “Health care organizations today need better data and simpler tools to manage a growing array of complex equipment and networked devices,” Connectiv CEO Rob Woodbyrne was quoted as saying in a recent press release. Connectiv, a SaaS healthcare technology management platform, was recently acquired by Accruent. Accruent CEO John Borgerding says that 67 percent of medical device manufacturers and 56 percent of health care providers believe an attack on their devices is likely to occur within a year, according to a press release. For this reason, manufacturers and health care providers believe that automatic security monitoring, that identifies threats quickly, is an important component of these systems. When it comes to advances in technology, CMMS has proven to be an indispensable and integral tool for every HTM department. In many cases today, with mergers and acquisitions, asset inventory proves too large to be managed any other way. Through continuous innovation, CMMS providers will listen to the HTM community and offer ever-more-useful tools for managing large databases of critical information.